My friend Mike S inspired me to consider the other half of the world's population today as we chatted in the library cafe. It's rare that I'll mention Pandaphilia to guys because I only know a handful interested in fashion and of those, most care about promoting their personal style and thus men's fashion. While skirts are my go-to uniform, I know little about the fit and practical styling of guys, so today I'm going to try my hand with a no-frills polished look. Hopefully this will give guys like Mike some inspiration on how to dive into fashion without looking tooo metro or like you're about to hit the runway. 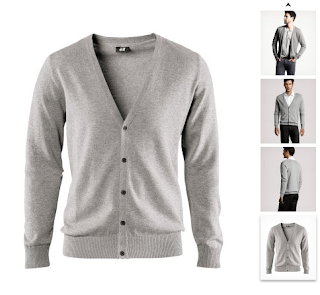 Step 1: Start with the grey H&M cardigan Mike got (on the left). What to wear underneath? 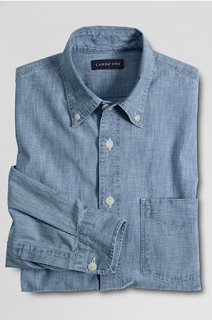 Step 2: A nice chambray shirt looks great on guys and girls. The thicker texture is great for layering from summer to winter based on the material. 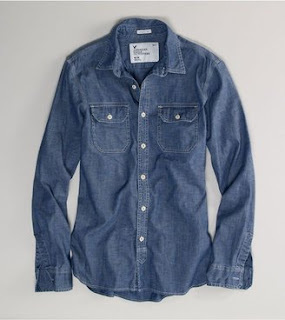 It's not quite like denim but has a natural cowboy/outdoorsman rustic vibe to it. Step 3: Add pants. Slim fit straight leg rather than skin-tight looks best for those with thin legs. 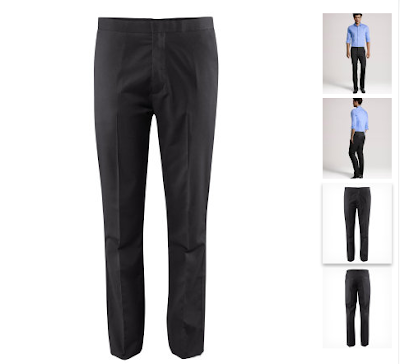 Chinos are a good option and remember, dark washes are always slimming. My experience is that H&M has a lot of nice casual/work hybrid pants that have been successful with JJ, who is definitely a no-frills comfort-first dresser. 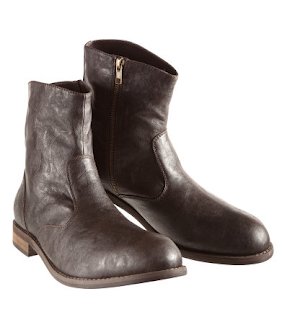 Step 4: Finish off with masculine boots. 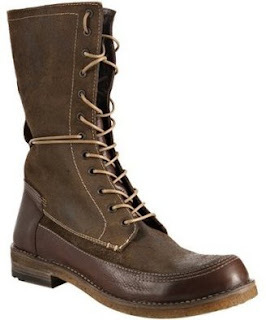 Combat boots have always caught my attention and they're warm and stylish for colder winter days. Thrift stores are the way to go if you want cheap ones. You switch out the shoes. 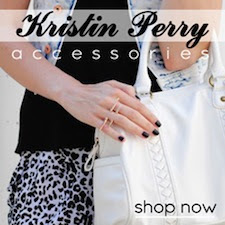 If you're going for polished, skip the sneaks and opt for leather or faux leather. 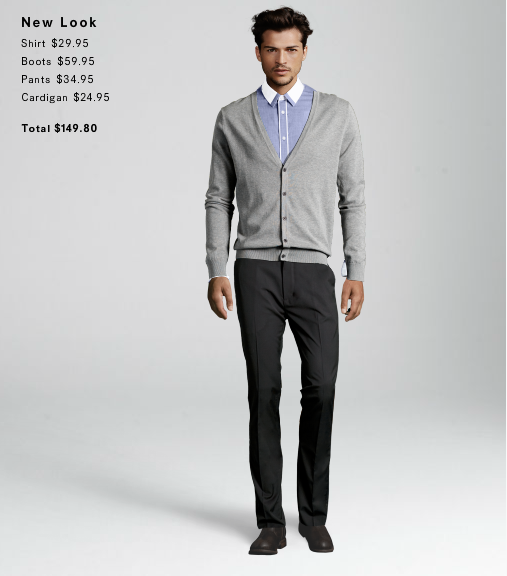 The finished look, using H&M's interactive models: The collar's a bit different but you get the idea. Throw on a belt and your favourite coat and you're good to go for winter days. Feel free to get creative and build - with a chunky scarf, a skinny tie, etc. I'd love your feedback on this stylist's attempt. 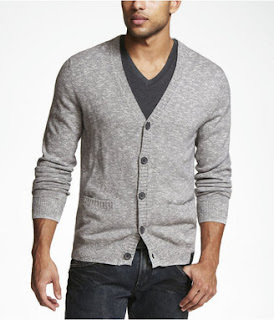 Guys - would you wear this? Girls - would you like this on a guy? Great tips on men styling. Totally loving the look you compiled. I Love your male fashion picks! I love picking grey for my husband hahah! Seriously every other year it's been a grey sweater/cardigan!